To help configure Microsoft SQL Server for the cloud, we’ve prepared some tips. After creating a server from our Microsoft SQL Server pre-install, you’ll need to install and configure SQL Server. But, before beginning the SQL Server installation, please review Windows Firsts to ensure your Windows server is best configured for Open Hosting. Select a SQL Server version: We’ve placed the install images on the desktop, in a folder named “Install SQL here”. Select the version you’d like to install, either 2008 or 2012. Extract the ISO: The installation files are ISO images. Use 7-zip, which is already installed on your server, to extract the contents of the ISO. Update Windows: If you install SQL Server 2008, be sure to install the 2008 Web R2 Service Pack as well. In fact, be sure to run Windows Update before starting the installation. Free up disk space: Delete the version you don’t intend to install to free up some disk space. Also consider increasing the disk size, leaving at least 6 GB for SQL Server. 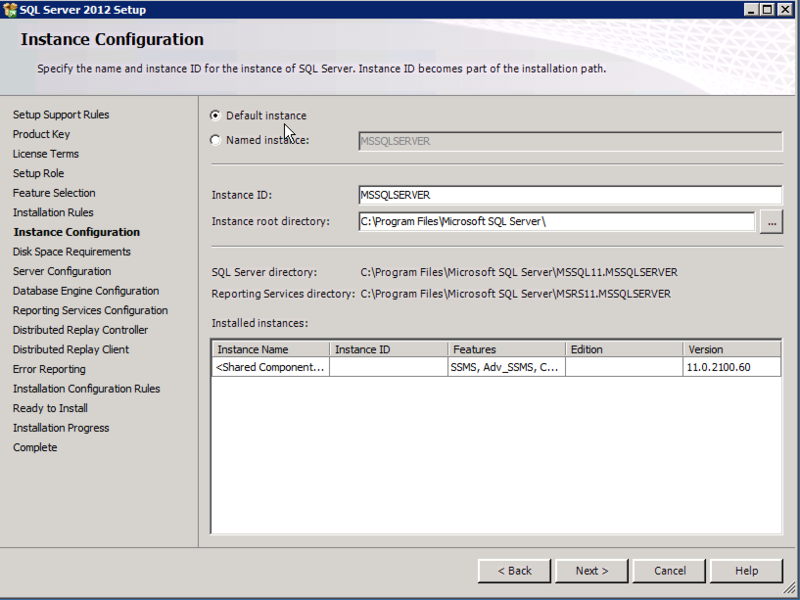 For a standard installation, click Installation on the left, and then choose the first option on the right – New SQL Server stand-alone installation. As you step through the installation, you’ll be prompted to run checks and install prerequisites. You’ll then get to the Setup Role screen. For the simplest installation, choose All Features with Defaults. At the next screen, Instance Configuration, select Default instance. 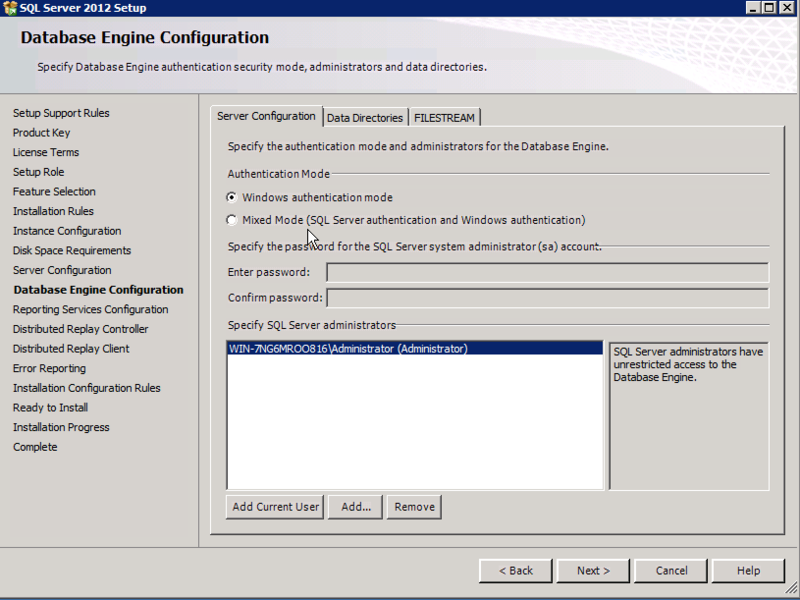 At the Database Engine Configuration screen, select either Windows authentication mode, or Mixed Mode. And, finally, just click Next on the following few screens to complete the installation.